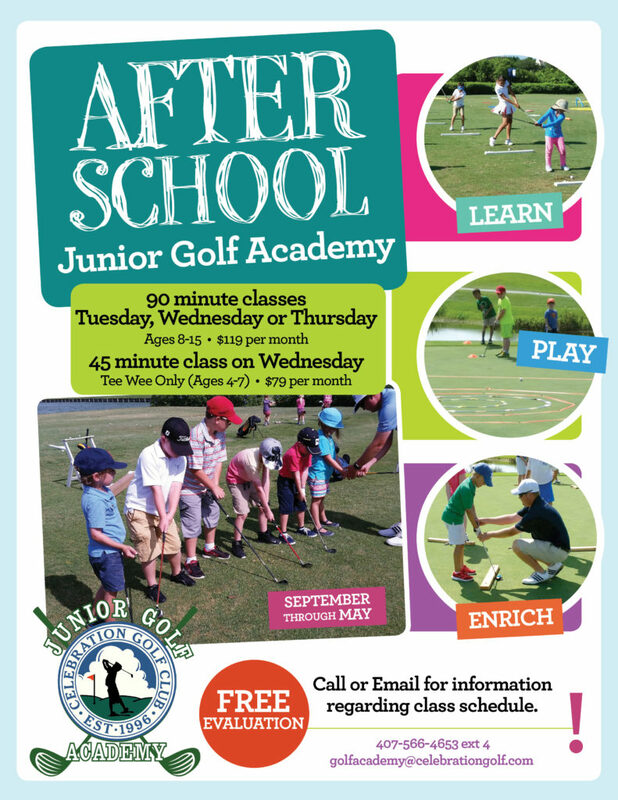 The After School Junior Academy is designed to provide juniors with a fun and friendly environment to learn the game of golf, along with important life skills. It is the goal of our coaching staff to always seek new and creative ways to teach the game of golf to our juniors. We want your child to be in a calm relaxed atmosphere where they can have fun and learn the game of golf without parental pressure. Your child will learn new skills, make friends, grow in confidence, gain a sense of independence, enjoy the outdoors and just have FUN! We also offer Private Junior Lessons, for ages 17 and under, in a more focused learning environment for your child to develop their skills. Semi-Private Junior Lessons for all ages and skill levels are also available for 2 or more students; pricing varies based on the number of students in the group. Saturday Morning Junior Clinics allow students to learn Swing Fundamentals, Short Game, Rules and Etiquette during 1 hour classes. Call for Class time. We offer half-day (9AM-1PM) camps that include lunch. They will be able to put their skills to work and compete with their classmates in a competitive environment with positive rewards that will keep them motivated to ensure they reach their personal goals and full potential.